One of Sydney’s lesser-appreciated beachside suburbs has a lot going on and these are our hot tips for what to do and where to eat, drink and, most importantly, caffeinate in Coogee. Whether you’re a local, want to be a local, or just visiting, here are the spots you need to know about. 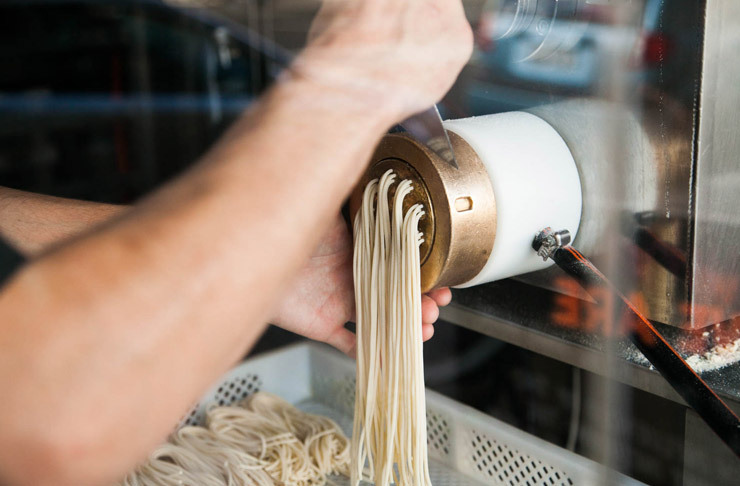 After the popularity of their first outpost in Surry Hills, Sugarcane has moved into Coogee. Known for nailing South-East Asian flavours, their signature modern Thai flair has been aptly focused towards seafood dishes given its seaside location. The 100-seat restaurant has there’s plenty of room to spend your next Saturday night. Located inside Coogee Pavilion, Vinnie’s is definitely the place to hit up for an authentic pizza if you’re in Coogee. They have rightfully stuck to traditional toppings and a thin base that is delightfully chewy and wears its speckled crust (courtesy of the wood fire oven) with pride. You must also order the Nutella calzone, because Nutella calzone. Open for breakfast through dinner, The Little Kitchen is a family run restaurant that has all of your Saturday plans covered. Their menu spans from fruit toast to Moroccan spiced lamb ribs, so regardless of where you sit on the hunger scale, you shouldn’t have any issues filling up on delicious treats here. The potato gnocchi at Black Pony Café should be enough to warm you up on a chilly afternoon but, if not, then the daily baked muffins will be. I mean, when there are flavours like strawberry, passionfruit, kiwi and white chocolate being thrown around; we struggle to remember our own name. An Italian Brazilian fusion restaurant?! Yeah, we know it sounds weird, but at Farinha, they make it work. Serving up Italian food (think a range of fresh, hand made pastas) created with Brazilian ingredients, it's unusual but so, so good. Not to be forgotten, are their range of wood fired pizzas too – being creatures of habit, we can't go past the classic margherita. The place to go for a nourishing start to your day, the most difficult decision at Cali Press is choosing between a caffeine high or a bright eyed pep that only comes from hopping yourself up on natural sugars found in cold pressed fruit juices. This is for anyone who needs their coffee to look as good as it tastes, because they’ve mastered the double swan latte art and it wasn’t a fluke. Head here for the killer espresso and stay for the avo smash on Iggy’s sourdough and quinoa porridge. Contrary to what the name suggests, generosity is king at Le Petit Café and exhibit A is their big breakfast, which has all of the breakfast things (poached egg, avocado, tomato, bacon, sourdough). They also have a rotating roster of single origin beans, which will deliver your much needed morning caffeine fix. Little Jack Horner will take care of you from your morning coffee to your last espresso martini and the many hours in between with their pizzas, lettuce cup tacos and substantial 12 hour smoked pot-roasted lamb shoulder. Plus, this is definitely one of the best (and laziest) vantage points for checking out Coogee and Wedding Cake Island in the distance. 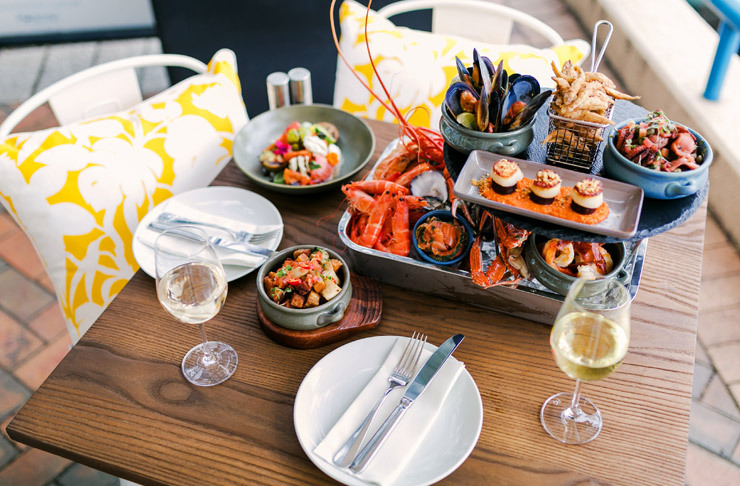 Laid back and fuss-free, Coogee Pavilion has been breathing life back into the seaside suburb for years. Come summer, the rooftop is one of the best places in Sydney to head for a Sunday session with friends, whether you are fresh from the beach or looking for a comfy spot to take in the sunset with a cocktail in hand. Located within the Crown Plaza, Oceans features a Mediterranean-style menu, inspired by sharing honest, home-style food around the family dinner table. They also have daily specials for fancied up pub meals and $10 cocktails on Thursday and Friday nights. Coogee Bay Hotel is a local staple; with bars overlooking the beach and function spaces that are large enough to host your next event. The menu is inspired by their beachside location, with fresh seasonal produce weaving through every meal. Plus, kids eat free in the brasserie every Tuesday night, so there’s that. Coogee is home to the flagship store for The Dreamer Label and is open to the public on Thursdays and Fridays, so you may need to plan your visit carefully. Their silhouettes are classic and draw inspiration from modern architecture and abstract geometric forms, plus they believe in creating products that look good and are also good for the planet. Double win! Try and walk into LivedIn without leaving with more fresh homewares than you even knew existed (you can’t). They stock items that you just won’t find elsewhere. Think wooden mirrors from India, organic cotton throws and luxe teak trays for that coffee table at home that has been crying out for a new teak tray. It’s a classic for a reason guys. The reason being that the view from the coastal walk is insanely beautiful and the people watching ops are even better. Our hot tip is to grab a coffee for the walk and then treat yourself to a vino afterwards. All of the yoga classes are available at The Living Room Yoga Studio and we really do mean allll of the yoga classes. They have classes for beginners as well as hatha, vinyasa, yin and prenatal and postnatal classes available. Plus, they all take place overlooking our glorious coastline #blessed. Normally I’m not a big fan of cafes or shops that specialise in many different things, but Black Boho have managed to balance a curated collection of luxe homewares and breezy beach friendly clothing with a relaxing spot to curl up with a book. They even serve matcha lattes so you can really settle in. Combining the best and toughest bits of Pilates and ballet, Xtend Barre will improve your strength and flexibility while chiseling those abs that you’ve always wanted. It’s also a great way to balance out the big bowl of pasta you ate last night, or was that just us? Go for a dip in the famous Wylie's Baths located south of Coogee. This ocean pool is frequented by fit looking locals and has a 180 degree view of the Pacific Ocean, which is pretty darn glorious. 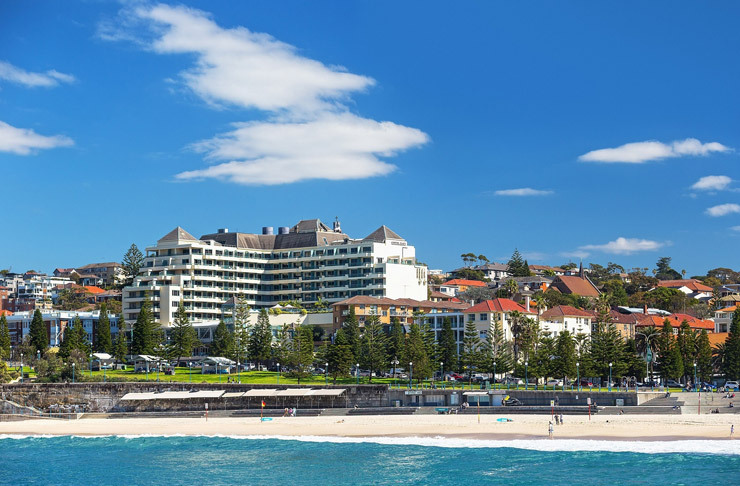 The Crowne Plaza Coogee Beach is a sure bet when selecting a hotel, no matter the location, but in Coogee it’s even better because you’ll be luxuriating in your suite while overlooking the ocean. This is the perfect spot to escape for the weekend and order room service from the comfort of your hotel bed (which are super comfy, btw). Fluffy robes are mandatory and you’ll find it reeeeaally hard to leave. Seriously, that view is to die for. To really experience Coogee like a local, you need to live how the locals live and renting an AirBnB is the best way to blend in and nab a bargain by the beach. Most importantly, it’ll leave you with a fatter wallet, which means more money for brunch. 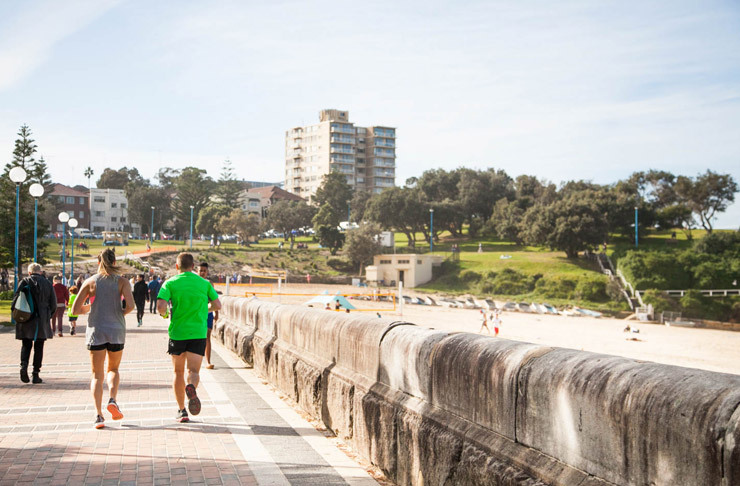 Search our Directory to find more places in Coogee!